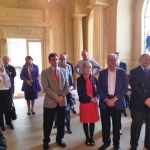 30 Lightmongers visited Bentley Priory in Stanmore which has recently been refurbished and now houses an exhibition dedicated to fighter pilots of World War 2. Much of the Battle of Britain was planned and overseen here under the guidence of Air Marshall Sir Hugh Dowding, who implemented a plan with the aid of RADAR and telephone reports to plot enemy movements in order to give our pilots an advantage. 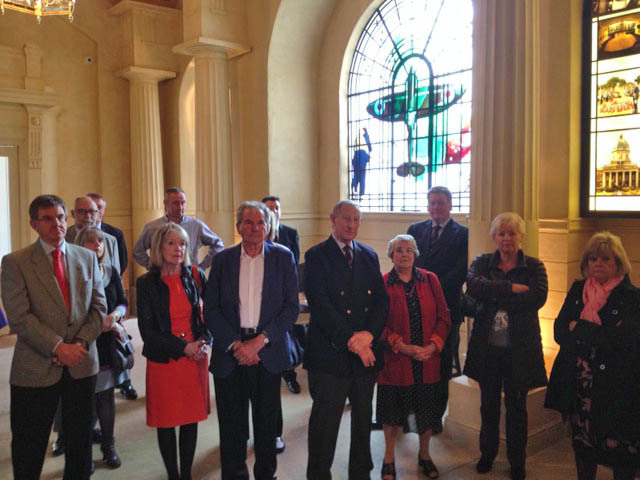 Sir Ian Macfadyen, an Honorary Liveryman and museum trustee and his wife Sally, introduced the Lightmonger visitors and joined the party for the day. After a superb guided tour of the exhibits with Michael as our expert guide, we had a splendid lunch in the museum tea rooms after which many went back to take a more closer look at the exhibits. The event was organised by the Lightmongers’ Events committee and designed to foster fellowship between members of the Company. A number of affordable events are being planned and members will be kept updated by our Clerk.